Travel is a great way to expose yourself to new concepts, conditions, and test your abilities in a multitude of ways. I think that travel allows for more introspection, especially when reflecting upon it in this manner. It taught me a variety of new philosophies and showed me countless new perspectives. I believe that traveling abroad is a crucial aspect if character development and world view. The way we traveled allowed us to witness in-depth the culture, history, life, food, and family attitudes, which all contributed to my introspections. The act of traveling internationally is an exercise in patience, time management, navigation, and adapting to conditions. The airports were particularly prominent examples of these aspects. I discovered that it is virtually impossible for me to sleep on flights. Additionally, the flights allowed me to see how I functioned when tired and uncomfortable – which wasn’t well. 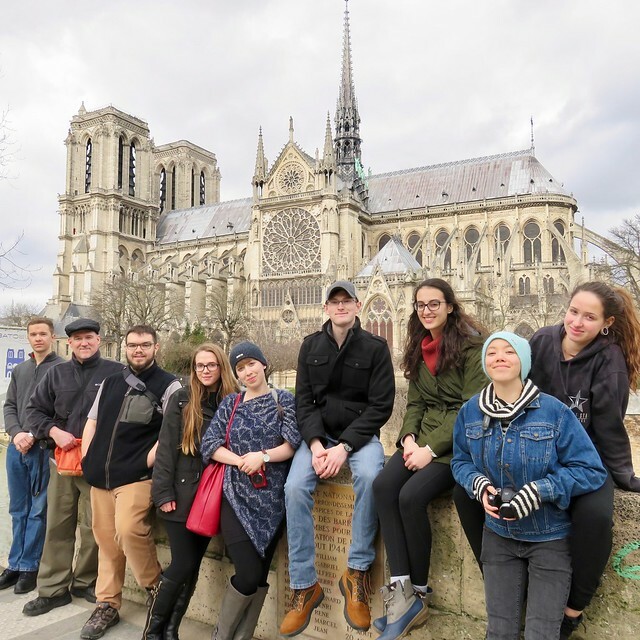 The experiences in Paris and Vitré were very different and each allowed for certain activities and experiences which had different effects on me. I really enjoyed the fast-paced action of Paris and the numerous attractions around the city, even more so than Vitré, which I didn’t expect. I thought I would enjoy the quiet slower paced life of the country, and while it did have its benefits, I didn’t find it as thrilling as the week in Paris. It’s a bit contradictory, as I liked constantly seeing all the sights/attractions and not really having the time to be bored but was still exhausted by the experience. 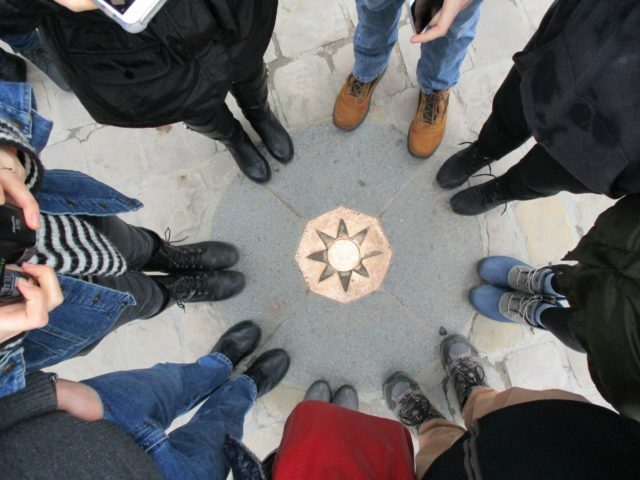 My favorite parts of the Vitré experience was getting to visit the school and Normandy. I enjoyed Normandy as expected and I enjoyed the school experience more than I expected. I didn’t think that I would like to talk to random students and participating in classes as much as I did. In general, I discovered that I was more willing to ask strangers for assistance, than I would normally. I found that I was much more willing to be flexible while in France than I would normally be on a daily basis, which is an attitude that I usually adapt while traveling. Overall my attitude was more open to new experiences, which allowed me to enjoy the trip much more. One of my favorite aspects of the trip was the independence that we had, allowing us to create our own adventures, and experience the places more in-depth. This was a new experience, as most school trips tend to be over-controlling of their students and don’t let them venture out of sight. I found that when I was in the busy atmosphere of Paris, I was rarely on social media, because I was preoccupied with more interesting experiences. I was so involved in the activities of the trip that everything else became a secondary concern. Even though the trip took place in the middle of the semester, school couldn’t have felt further away. I was definitely more time conscious while in the trip, as most of the activities were on a schedule. This trip allowed me to see how I respond to various difficulties and scenarios, which then permit me to make larger assumptions about my personality and competencies. It was also enlightening to see the various cultural differences and examining my own perceptions of them. The historical knowledge I gained from my journey has also contributed to an increased understanding of French culture and its variations from American culture and history. Since the trip, I am more aware of the various differences in daily and social life. This experience has definitely contributed to an increased worldview and sense of personal identity.